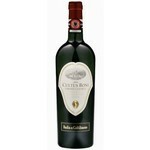 This Chianti Badia a Coltibuono is considered one fen the most representative wines from the Chianti Classico appellation. The color is bright ruby, the nose reveals layers of iris, tobacco, black pepper and Marasca cherry. The taste is well balanced, strong but supple tannins, mineral notes, a mouth cleansing fresh acidity. Warm and persistent. Recommended temperature: 18 ° C.
2010 Vini d'Italia L'Espresso 2013 "excellent" rating. 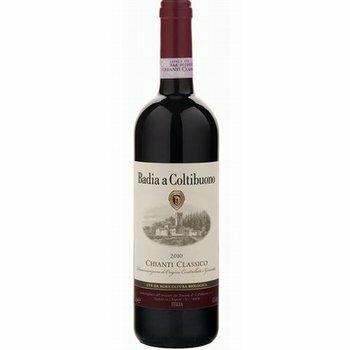 This wine is the result of absolutely natural production using hand picked Sangiovese and Canaiolo grapes from the vineyards at Badia a Coltibuono. 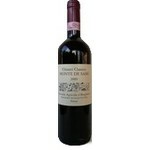 He is considered one of the most representative wines from the Chianti Classico appellation. Winemaking: Fermentation with autoctonous yeasts. Cap managed with punchdown. Aging: 12 months in French and Austrian oak barrels of various sizes.